Read-out Instrumentation Signpost: Machine vision conference. The 2019 Stemmer Imaging CVB Technical Summit is scheduled 22-23 May 2019 near Munich (D). 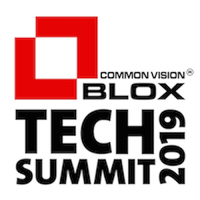 The meeting is designed to provide delegates with a rich program of events involving the Common Vision Blox machine vision programming library. These will include hands-on demonstrations, technical presentations, training and application examples. There will also be invaluable opportunities to network and share experiences with the CVB user community and experts from the company. Topics to be covered include a preview of CVB's upcoming DNC 3D tool and how rapid prototyping can be facilitated through Python support in CVB. There’s also a chance to find out how the new CVB OPC UA tool allows information to be communicated and shared in a connected factory environment. For those interested in the innovative Intel 400 Series of RealSense stereo cameras and depth modules, Stemmer Imaging has created a GenICam Transport Layer so that they can be handled in the same way as GigE Vision and USB3 Vision cameras.